A low refractive material with non-flash components makes Maxima Fluorocarbon totally invisible to fish in the water. A new polymer structure enhances the sensitivity of the line and gives Maxima extraordinary cast ability. The special finish is additionally treated with a UV-protection extending the line’s useful life. 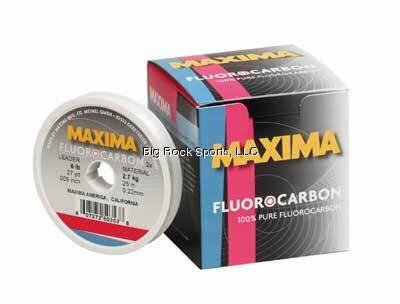 Like all Maxima lines, Maxima Fluorocarbon is exceptionally strong and reliable under all conditions.